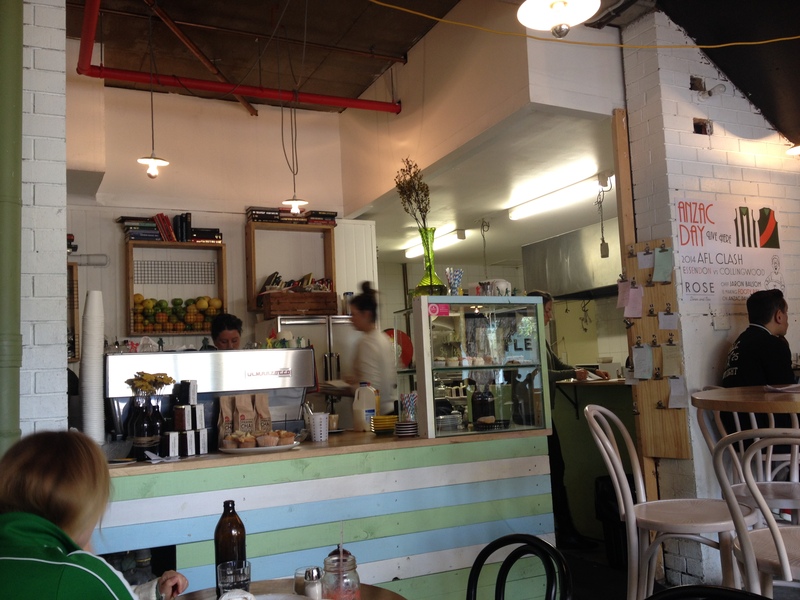 this gem of a cafe is the little sister of the rose diner and tucked into the back of bay street, port melbourne. as you enter through heath street you won’t miss the cute yellow umbrellas! 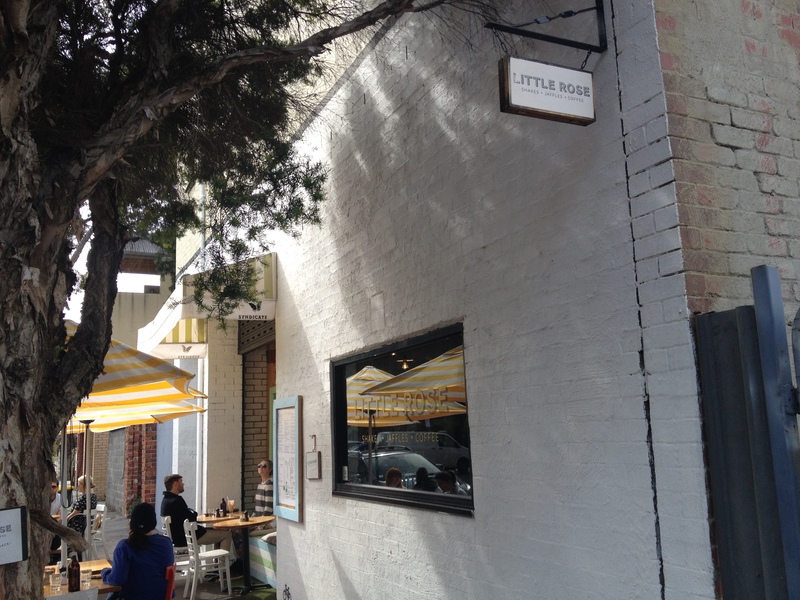 little rose was an unintentional find of ours, and i’m so pleased we happened upon it and stopped to try it out. 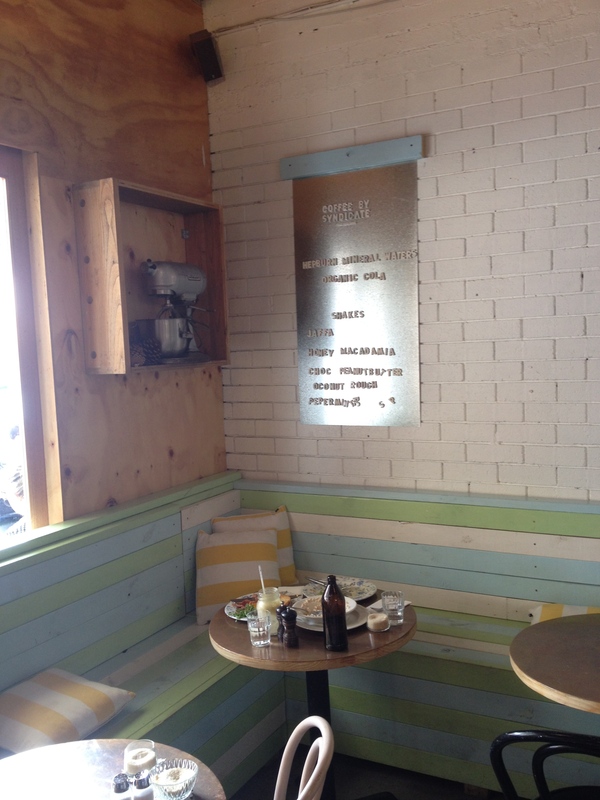 known for their jaffles and shakes, i’m looking forward to heading back here one afternoon for lunch. 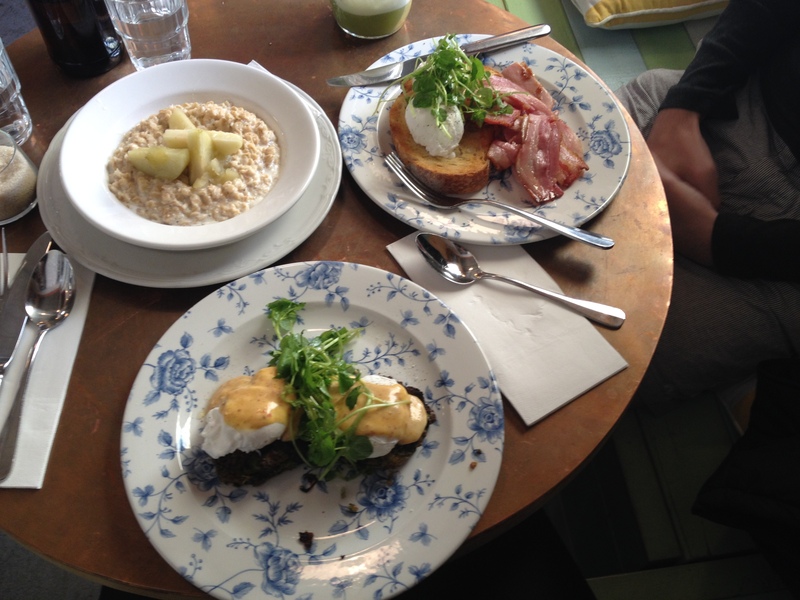 but the great news is that breakfast is served all day too! 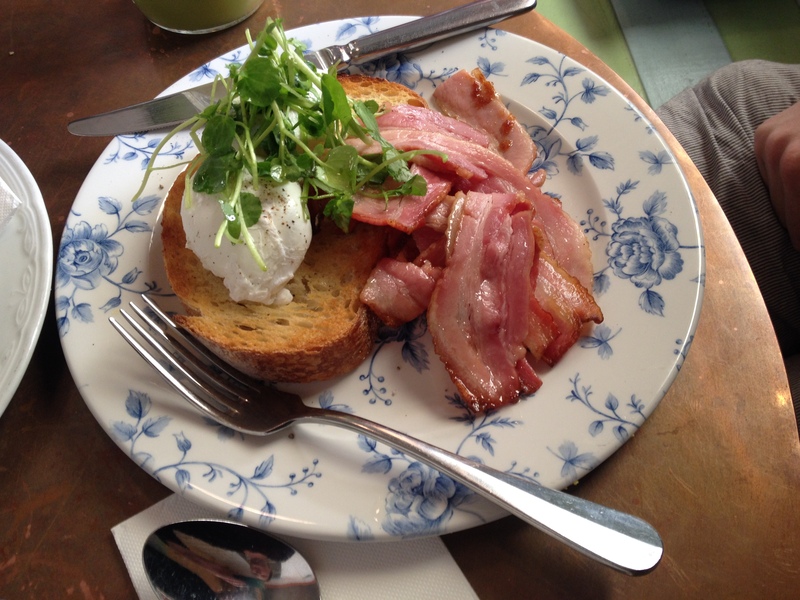 bacon + poached eggs. my husband loved this. eggs good perfectly and well-seasoned with a generous serving of good-quality bacon. boys being boys, he immediately discarded of the watercress, but i thought it added a lovely touch to the presentation. i also love the serving plates, reminds me of my mom’s ‘special occasion’ china which she inherited from my grandma and has probably only used once in 20 years – i say if you have them, use them – everyday should be a special occasion! spring green pea, zucchini + coriander fritters with poached eggs + harissa hollandaise. this dish was DELICIOUS. 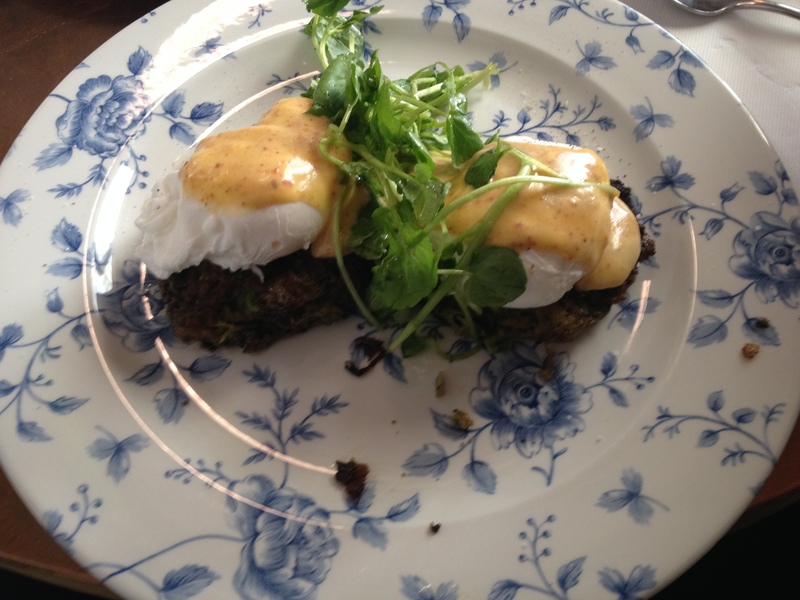 wonderfully savoury and i loved the spicy hollandaise. eggs were consistent to our other disk – runny and soft – just the way i like them. the fritters had a lovely flavour and the additional of coriander married well with the harissa in the sauce. i need to find a recipe for this hollandaise! 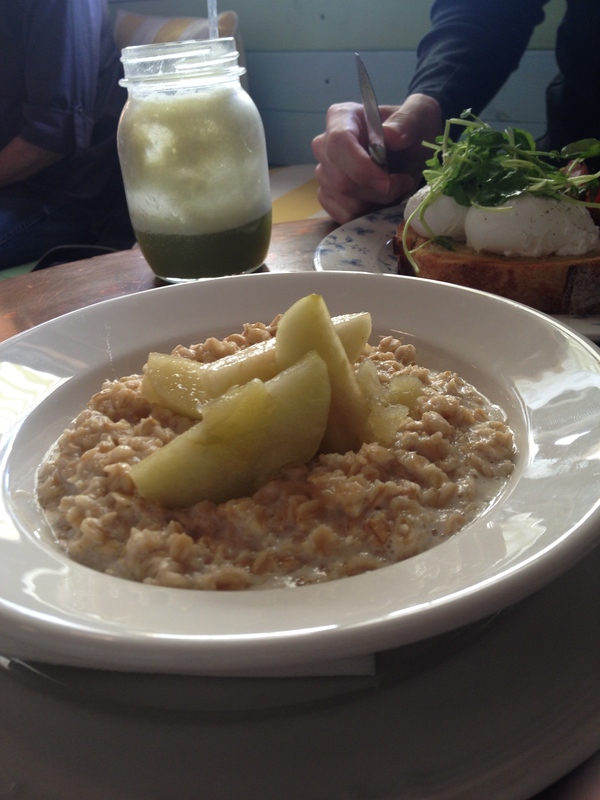 whole oat porridge with stewed apple, honey + cinnamon. a perfectly sweet way to end a savoury start. the apples were soft and sweet, the oats well-cooked. it was a chilly morning and i was perfectly happy with some warm comfort food! 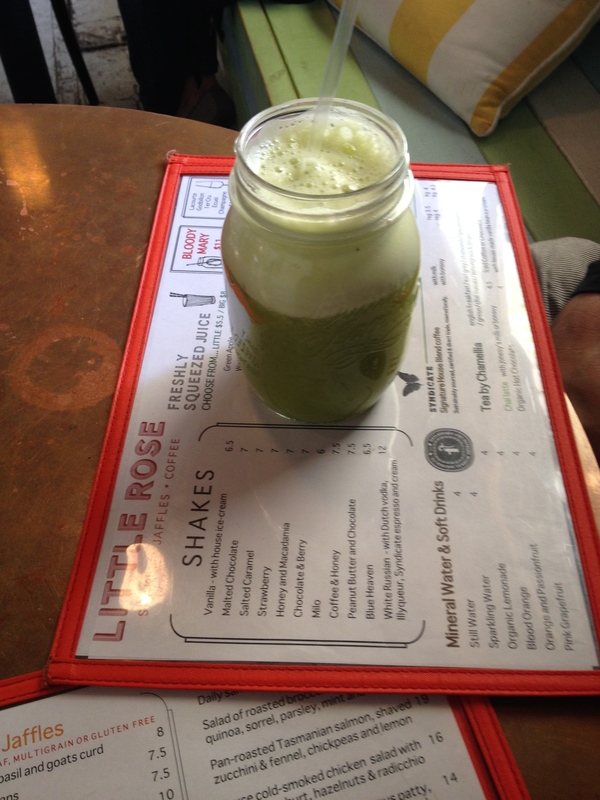 little rose has an extensive shakes + freshly squeezed juice menu and i’m a fan of the latest ‘served in a jar’ trend. this was our little corner spot. 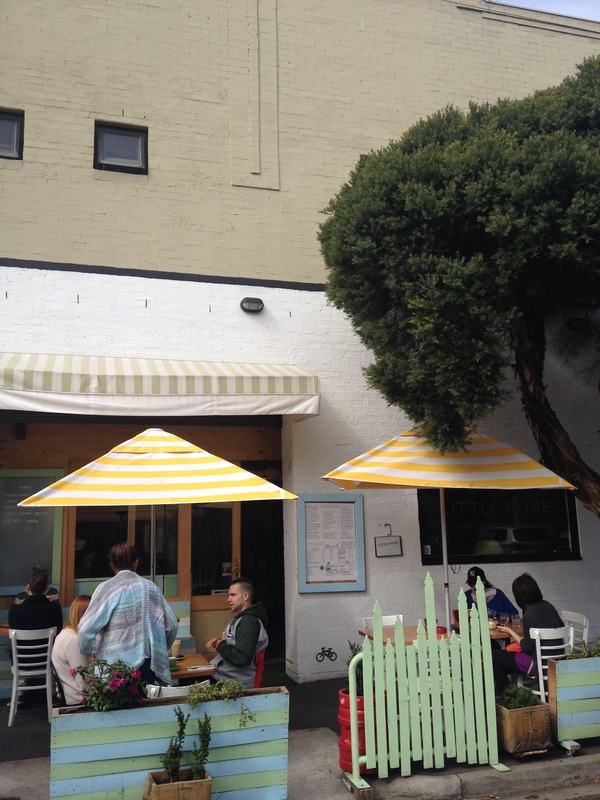 the cafe is littered with cute and quirky ornaments and the little green picket fence out on the street makes this cafe feel so inviting.